Belfast’s Cathedral Eye Clinic is investing £2m in a brand new clinic and bringing the latest laser surgery technology to Ireland for the first time. 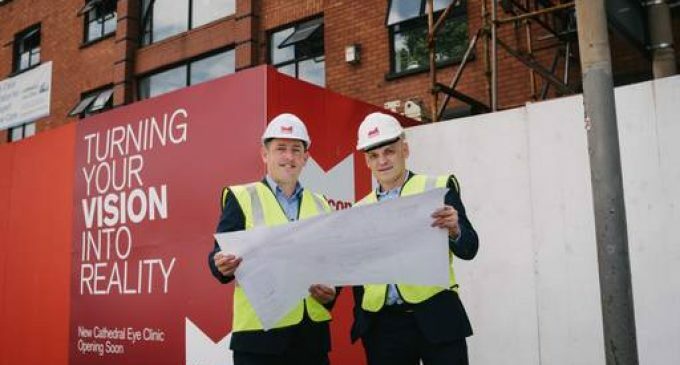 The brainchild of Ballymena ophthalmic surgeon and businessman Professor Johnny Moore, the clinic is moving to a new location close-by at Academy Street in Belfast. And the 48-year-old is also spending £500,000 on the latest third generation laser eye technology – the first of its kind in Ireland. Two new full-time jobs are being created as a result of the move from the current site at York Street. “I’ve been on York Street for the last nine years and we’ve probably outgrown that three or four years ago,” Professor Moore said. “The business has grown every year and we’ve been struggling with space for quite a few years now. The new building is set to open its doors next month, with surgery set to take place some time later this year. The new laser treatments are expected to cost around £1,500 for each eye. The business was founded by Prof Moore in 2008 – and offers a range of services including laser eye surgery and cataract removal. Prof Moore also works part-time as a clinician at the Royal Victoria Hospital and is a researcher at the Ulster University. Professor Moore said the new Zeiss VisuMax ReLEx treatment is now virtually pain-free. “That’s the whole aim of what I’m trying to do. “I am specialised in the front of the eye, and laser and lens procedures. But my colleagues are specialised in areas such as the retina. If I’ve an issue, I get you to see the guy beside me. And his focus is on a full consultation with the patient, and treating it as a “surgical procedure” and not a “commodity”. “My biggest bugbear is these things are being sold as commodities. “But these things are surgical procedures,” he said. Prof Moore has completed more than 13,000 procedures. 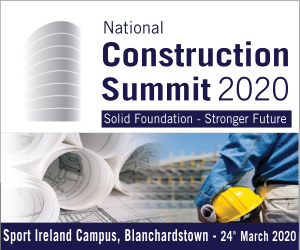 Meanwhile, Antrim fit-out company Marcon is currently working on the fit-out of the clinic. Its director Mark O’Connor said we are “delighted to be playing such a major role in the fit-out of the new Cathedral Eye Clinic in Belfast”. “The building is undergoing a complete transformation and when complete will be one of the leading eye clinics in the UK and Ireland,” he said.